Wonderful Thich Nhat Hanh book with everyday mindfulness and meditation practices. From washing your face, eating breakfast, and brushing your teeth, simple and easy reminders to bring one back to the present moment. I’ve also read this one out loud to Thomas and Lillian. I greatly enjoy all of Thich Nhat Hanh’s book. Always easy to read. No deep, philosophical points to get lost in. Simple and easy. 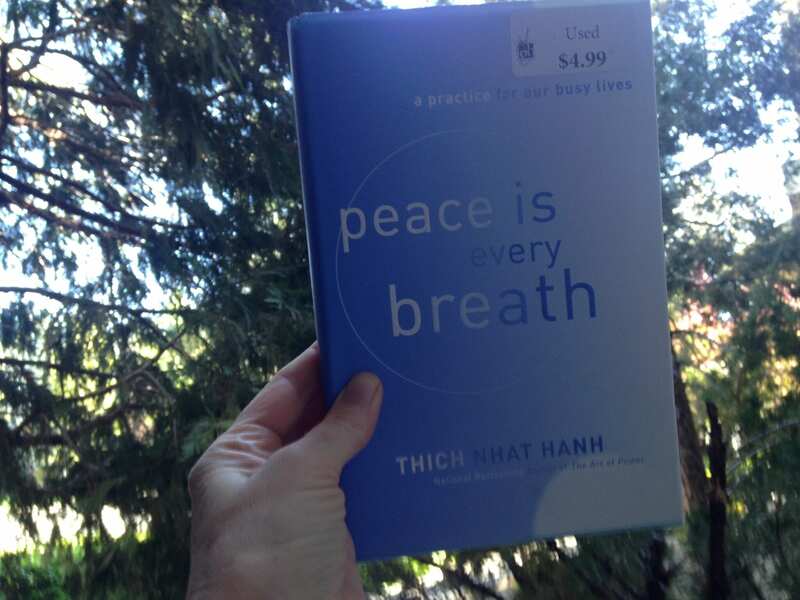 This entry was posted in Book Reviews and tagged mindfulness book, peace is every breath, Thich Nhat Hanh, Thich Nhat Hanh book by Camilla. Bookmark the permalink.